Yes, no typo nor mistake in the post title. 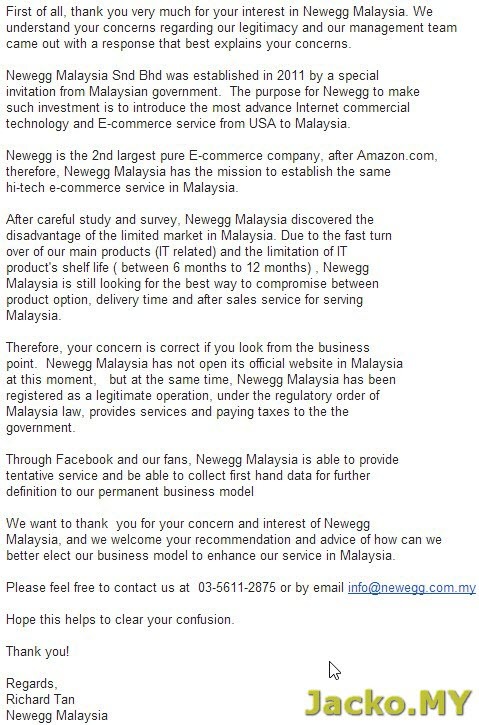 Newegg is now in Malaysia! This probably not a breaking news to local gadget geeks, but it might worth a read if you're still skeptical over its authenticity. I must thank and praise Richard for his diligent follow up on the question I raised (on its authenticity). 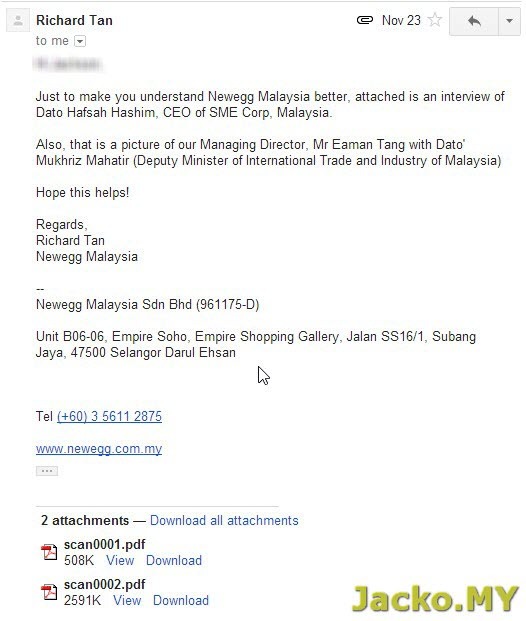 This is really an alien case in Malaysia where most Malaysian businesses never bother to provide customer service, let alone to reply emails (or online enquiry) in timely manner. 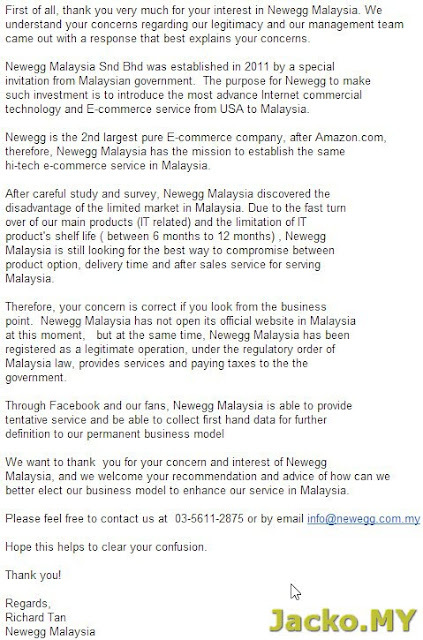 Thumbs up to his service and hope Newegg Malaysia will inherit the good customer service culture from its HQ. There is restriction though. I ordered a multi-function color laser-jet printer and it was cancelled as it would cost a bomb to ship a 20kg item from the States. I was well informed by Richard on this matter though (thumbs up again to this gentleman). 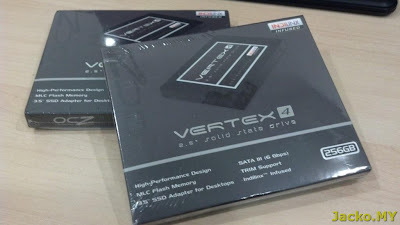 My SSD purchase was just an example. There are many more good deals such as Nexus 7. 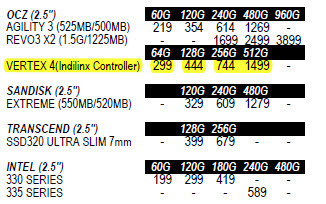 My friend bought a 32GB WiFi Nexus 7 for about RM800 vs. RM999 for a 16GB version in Malaysia. p/s: if you're interested reading more about Newegg Malaysia, click on here and here to read the pdf I got from Richard. Its real la bro. Lets watch Newegg price dominate Malaysia market with cheap US product. I bet local Malaysia scum will be pissed and try to push them off the cliff. :) ya. we consumer hv been slaughtered for many years. 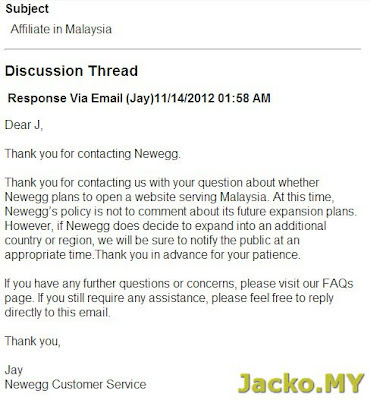 hopefully newegg sets a new market standard! 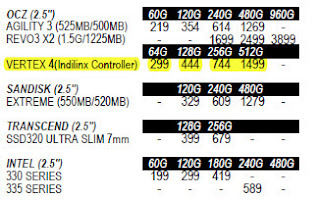 I planing to order some graphic card too from new egg malaysia but how long do it take to reach Malaysia? it depends. i waited 3days as well as 2 weeks (during x'mas) to get my stuff. I would say give it a week on average.